The newest model from Polymer80 brings a new twist to the compact frame. Based on consumer demand, the hybrid design combines the compact grip size with the accuracy and performance of a full size slide. Build your own handgun… with an 80% Lower that you build with Glock parts. Designed to fit Gen3 19 parts in the lower, and Gen3 17/22 slides, the frame can also accept Gen4 17 slides with modification to the dust cover. Click Hereto check out our blog to learn about the legality of building your own firearm! Make sure to check out our Lower Parts Kit, Upper Parts Kit, and Complete Uppers to help complete your build. Please Note: The Polymer80 Frame is compatible with Gen3 Lower Parts only. *Laws vary by state. Click Here for the latest information on California law regarding 80% lowers. Be sure to check with your state's Department of Justice for changes in laws pertaining to 80% builds. Due to the unique nature of this item, the Polymer80 lower is non-refundable once it has been modified in any way. Federal law states that you can build a firearm for personal use. This law has been in effect for years but no one knows when or if it will be changed or repealed. Now is your best time to purchase the Polymer80 lower. 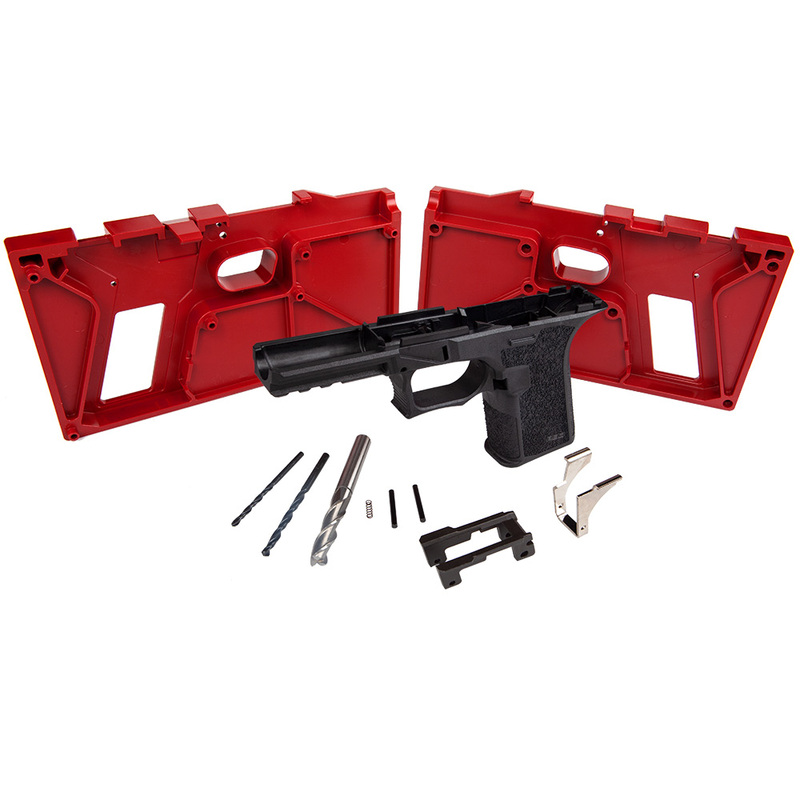 This do-it-yourself kit accepts Glock factory parts and we at the GlockStore have assembled both a Lower Parts Kit and an Upper Parts Kit to help you build the Polymer80 into a fully functional firearm. Of course, you probably already knew that! The Polymer80 is the best lower kit available. It is very high quality and we've seen many complete guns that have turned out great. We've also seen some that were not finished correctly so it is extremely important that you read and follow the directions. There are a lot of reasons to purchase an 80% lower. We're here to support your choice with the information and parts you need to make it a reality. The Glock 19X we actually wanted! This is maybe my 12th or 13th polymer 80 build since the original frame and it is by far my favorite. WARNING you will love this model and you will buy multiples it is that good. I have always been a promoter of the glock 19 gen 3 being simply the best gun all round and that may shift to this frame now. Way to knock it out of the park Poymer 80! Wow, What a great lower! What can you say about the Polymer80 Lowers. I have a compact with 9,000 rounds shot with no issues. The only "negative comment" I have is there was no mention that you need a coil spring for the slide release lever like the Glock 43. A little thing but no reason not to buy because it's worth the money.